We think that this venture in social media by Katrina Kaif will only last until after Cannes. Joining the ranks of ever growing tech savvy celebrities, Katrina Kaif has finally debuted on micro-blogging site Twitter. No doubt that Twitter is the quickest way to connect with their fans, many celebrities still keep away from the inevitable internet trolls that come with the praising fans. But Katrina has let herself to be bitten by the social media bug. For her Cannes trip this year for L'Oreal Paris, Katrina has used the handle @KatrinaAtCannes. No doubt it is created especially to promote her appearance at Cannes red carpet. 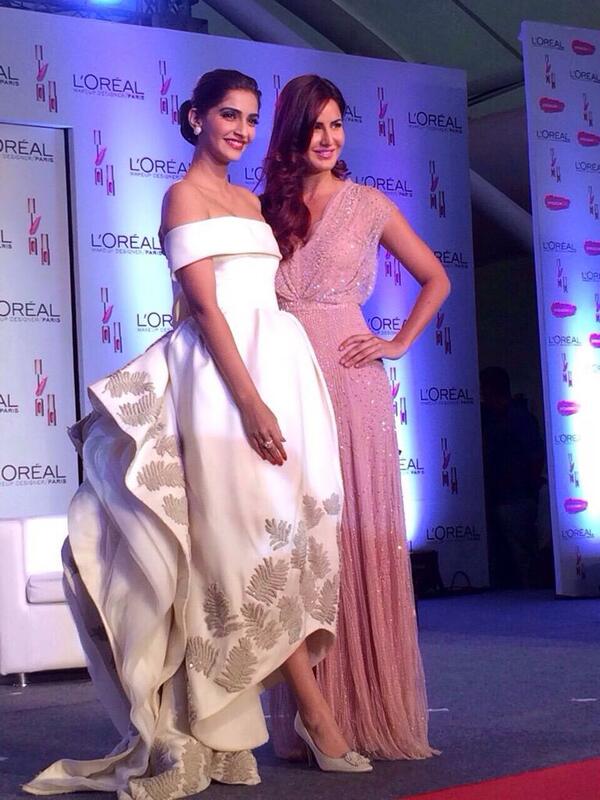 For the announcement at a press conference, Katrina shared the stage with Sonam Kapoor, who is also one of the endorsers for the beauty brand along with Aishwarya Rai Bachchan. The experience ensured a string of tweets from both the beauties praising each other. Katrina is known to be a private person. So we think that this venture will only last until after Cannes. Just like her rumoured boyfriend Ranbir Kapoor, who had created an account for six hours only to promote a tech brand.